Are you bored of fighting games which is so violent? Don’t you like cute game that is too childish? You are waiting for an action game that is so interesting, right? 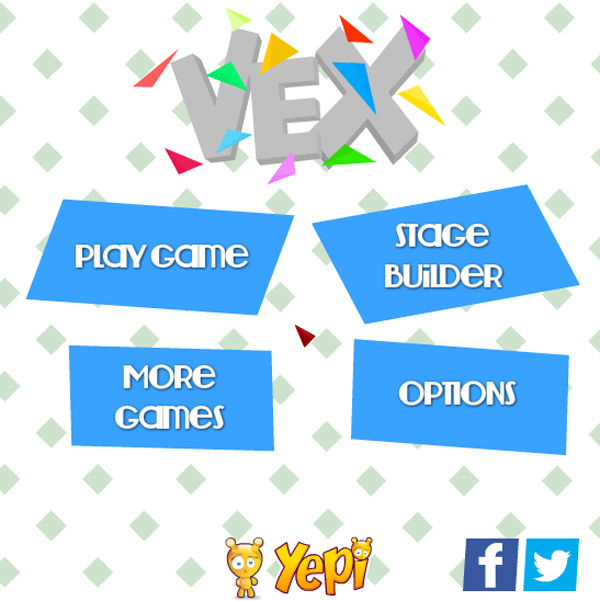 If your answers for these questions are yes, why don’t you try playing Vex 1? It satisfies all your requirements. Many players feel so interested in Vex 1. The reason is it is an action game, of course. Generally, the action games attract more players. 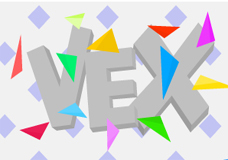 However, Vex 1 can be a very attractive game not only due to its kind of game, action game, but also its difficulty. 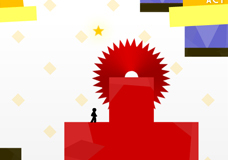 In the game, you play as a man who has to run and jump around to approach a magical door which brings you to the next level. 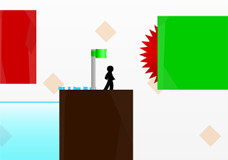 After listening the rule, you may feel that it is so easy, just running and jumping around. In contrast with your first thought, it is not so easy, but very difficult. 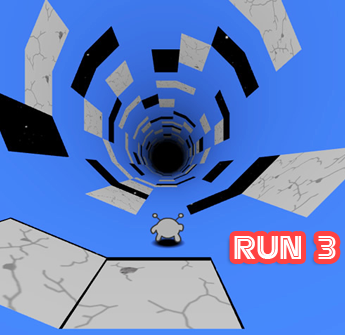 To get to the final door, you have to run, jump, swim and do something like these. It is not all you have to do. There are so many impediments there hindering you from move forward. 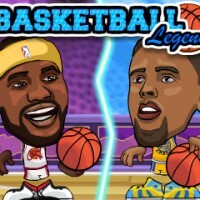 Although there is guidance everywhere in the warming – up act to tell you what to do in the game, but many player feel that completing the mission is so hard. 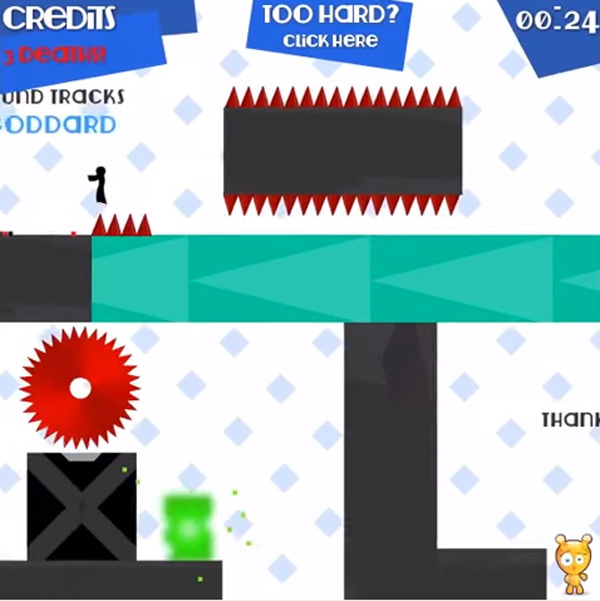 For example, when the blocks are too high for you to jump up to its top, the game will tell you how to jump up to the top of the block by jumping many times and griping the block. Besides, there are some blocks that when you step on, they will drop immediately. 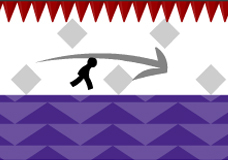 When you have to face up with them the first time, the game tells you that you have to run as fast as possible to avoid falling down in to the bottom of the screen. As you see, there are many hints for you to control the game, but completing all the missions in the game is still a very difficult mission to many players. Therefore, there is a small box on the screen which you can click when you feel that it is too hard for you to continue. The box is a youtube link and it leads you to a video about the game’s walkthrough. Now, how about trying playing the game? 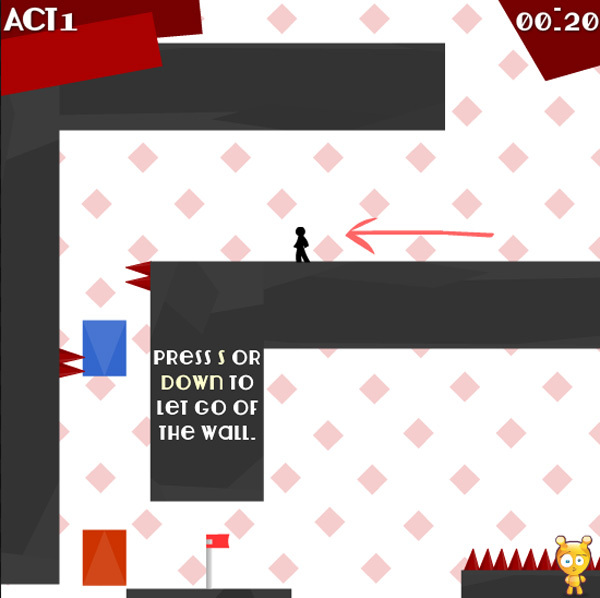 Let’s show everybody that you can easily pass through all the impediments all complete all the acts of the game.